Phantom leakes, SPEC key researcher, Massey bridge project, Palm oil in chocolate, Expanding our School Gardens Program and more! Our AGM and end-of- year event energized many of us here at SPEC. With renewed optimism, we begin the year focusing on conservation issues, starting with some ideas on how to avoid phantom leaks and how not to waste your valuable energy. We start 2016 with 4 new board members—Ara Koh, Eyal Lebel, Jimmy Zammar, and Paula Pisciottano— that bring lots of expertise and vitality to the team. Quick introduction on our website. Thanks to grant from Lush Fresh Handmade Cosmetics, we are hiring another facilitator to reach new schools with food literacy. See Job Posting below. Now could also be a good to time to get cooking. Learn how to become a hobby chef and support SPEC at the same time. SPEC has a long history of supporting farmers and farmland in the region. Learn about what's happening with the Massey Bridge Project. 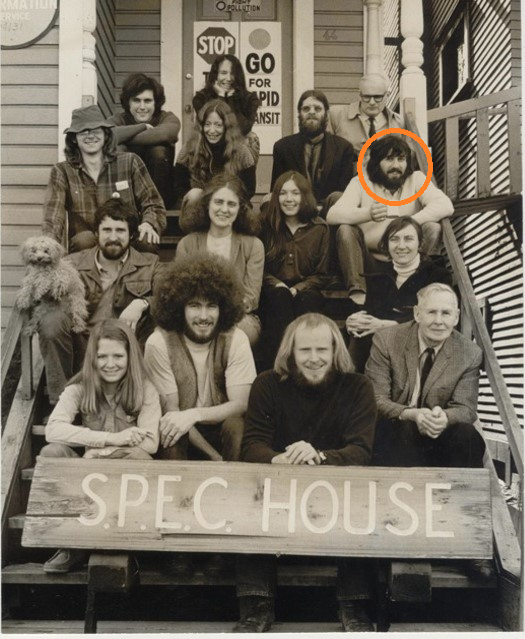 And talking about SPEC's history, read about one of SPEC's past key researcher. 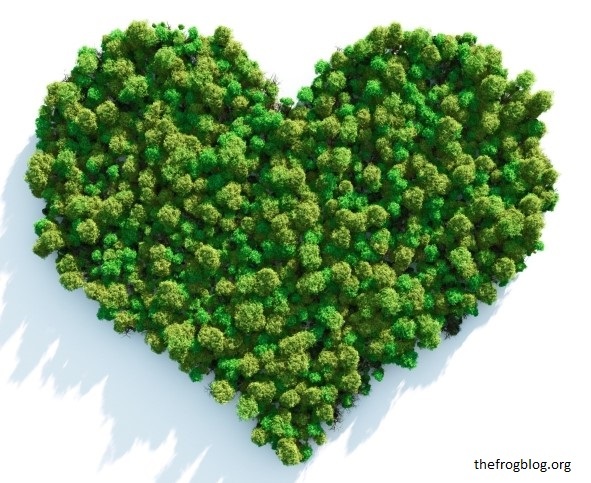 Also check out some free learning opportunities coming up, as well as your chance to show your love to your Valentine and the environment by choosing palm oil free chocolates. 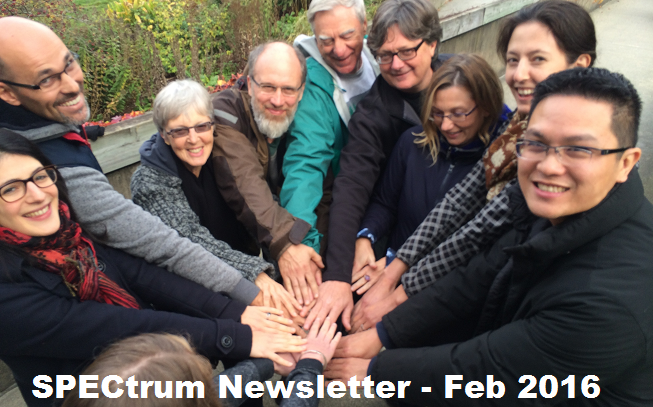 We hope you enjoy this month’s SPECtrum newsletter! Phantom leaks occur when microwaves, computers, TVs, and other electrical devices continue to draw energy even when they're turned off, up to 15%. 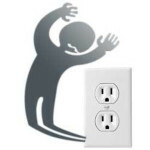 A convenient way to do that is to plug devices, such as your computer, and their peripherals, printers, speakers, monitors, etc. into a power bar or, even more conveniently, into a “smart bar.” You manually switch off power bars but “smart bars” shut down power to some outlets but not to others adding flexibility while it reduces your energy bill. Unplugging your rechargers for smart phones and iPads is also smart. Remember—if it's warm, it is drawing energy. A SPECial thank you to LUSH Fresh Handmade Cosmetics for their recent grant. Thanks to this funding, we can hire a second facilitator to respond to the growing demand for school gardens in high needs schools. 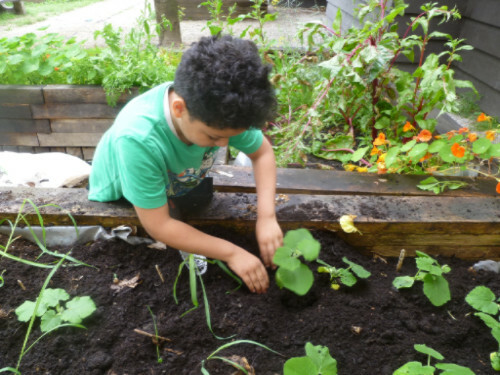 Students, who have taken part in our regular food and garden lessons throughout the year, say they have an improved understanding of food literacy, gardening, and healthy food, as well as improved attitudes towards healthy eating. By Kimi Hendess, FarmWatch BC. The Fraser River needs your help. LNG, Coal, Jet Fuel... numerous proposed industrial projects in this sensitive estuary hinge on tankers gaining access up-river of the George Massey Tunnel, over which only shallow or partially loaded ships can pass. Luckily, this project is not a "done deal". A group of residents and organizations from Richmond, Delta, Vancouver, and throughout the region have begun organizing to stop the proposed Bridge and the industrialization of the Lower Fraser River that the bridge is designed to enable. SPECial thank you to everyone who supported our fall matching donation campaign. Because of your enthusiasm, we reached our goal of raising $10,000! 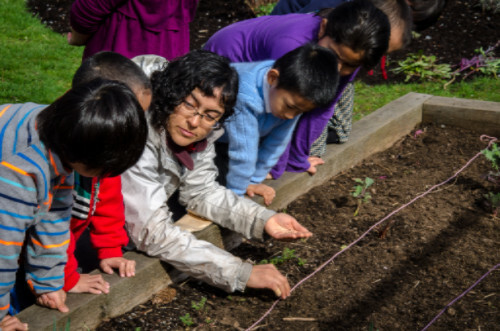 SPECial thank you to TD Friends of the Environment Foundation for supporting our School Gardens Program with two grants that will help us expand our pollinators curriculum, build additional garden beds and provide skills development opportunities for our school garden coordinator, Nikoo. Guess who is cooking something special for SPEC? Anastasia, one of our volunteers and supporters, is going to be a hobby chef for DinnerPartyYVR on Sat, April 9. If you would like to host a dinner, there is still room for five more SPEC supporters, but act now! Have other ideas on how to support SPEC? Please share them with us, as your efforts are so appreciated. And, remember to send us some photos too! Last year, on our 45th anniversary, I reviewed SPEC’s historical campaigns and connected with 100 SPEC activists from the early days. One name that repeatedly came up was Terry Chantler so I called him and he graciously walked me through a pivotal SPEC campaign that changed BC’s energy sector from one of wide-open, unaccountable development of public resources to one of much greater oversight and accountability in the public interest. It’s a fascinating story and I came to realize why he is remembered as one of the most successful researchers in SPEC history. Why is chocolate an environmental issue? Because palm oil, an ingredient used in some chocolates, is the main driver behind much of the deforestation happening in tropical peat forests of Indonesia and Malaysia, among other places. Read more for some tips and facts to help you make your choices! Looking for some learning opportunities on sustainability? Photo/image credits: http://www.energycaretech.com (phantom loads), http://dinnerpartyyvr.com/ (dine in for a cause), www.thefrogblog (valentines day). Other images and photos from SPEC. Copyright © 2016 Society Promoting Environmental Conservation - SPEC, All rights reserved.